Our 100% all natural Cricket Craze ™ is a protein-rich treat for your chickens. These treats can be fed from your hand, scattered on the ground, or in our specially designed Coop Cups! 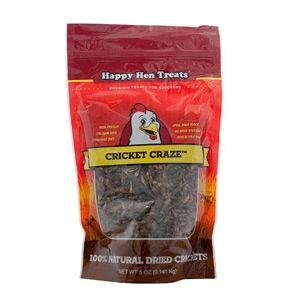 100% naturally dried crickets. High in protein. Perfect for training or taming chickens.